Valiant has big plans for August but they are not revealing what they are. X-O Manowar #1 sold over 90k copies and is said to be the biggest Independent launch this year. Valiant seems very excited about this series and carrying on those readers into future issues. A range of new aliens are going to be introduced through upcoming X-O Manowar issues particulary from a group of Bounty Hunters. 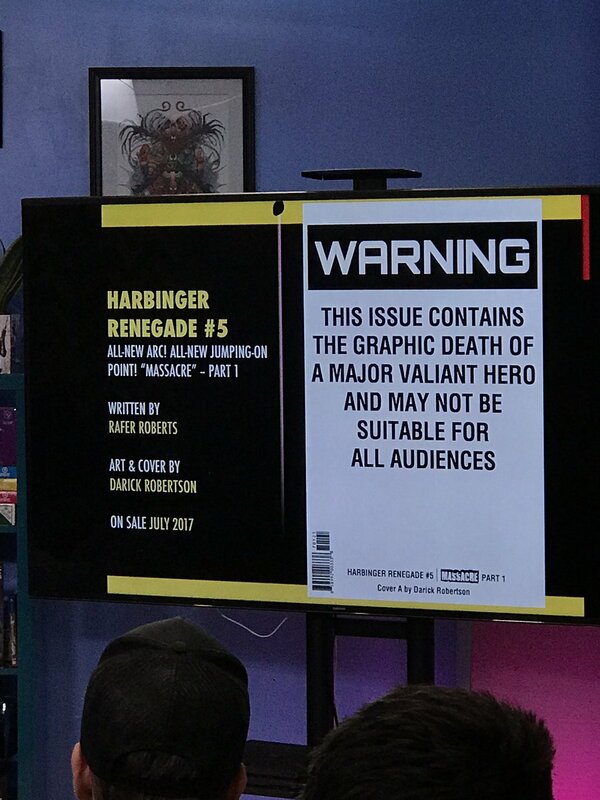 Harbinger Renegade is said to feature a graphic death of a main hero of Valiant. The death is so gruesome it is said to come with a warning cover. The series will also begin to head toward Harbinger a major event in the Valiant universe. Bloodshot is going to be given a family in Bloodshot redemption which will give the bloody hero another reason to fight. The promo artwork for this series looks completely sick! A new series will bring back the character Faith who was a breakout star in 2016. Faith and Futureforce will feature Neela, Timewalker and Faith as a team assembled across time to save the universe. One of my favorite Valiant characters Rai is also said to appear in this series. 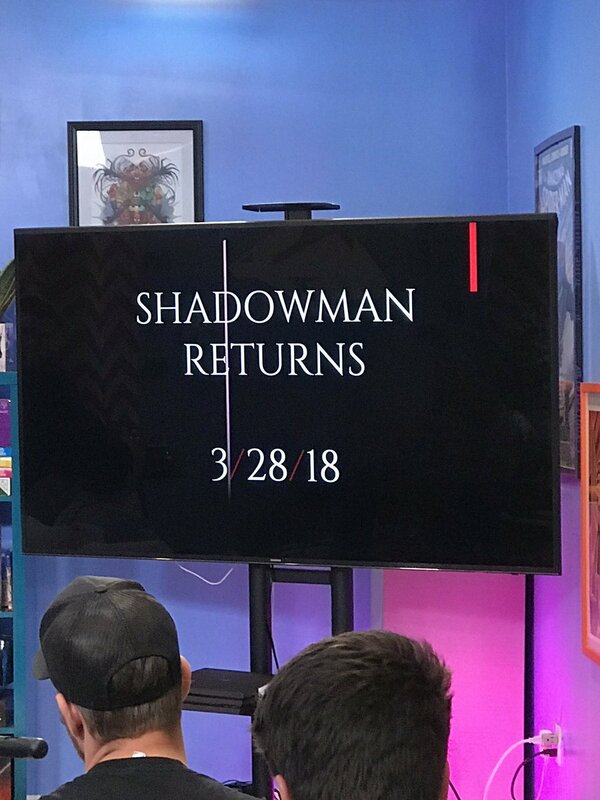 Shadowman is coming back with a new solo series in 2018. 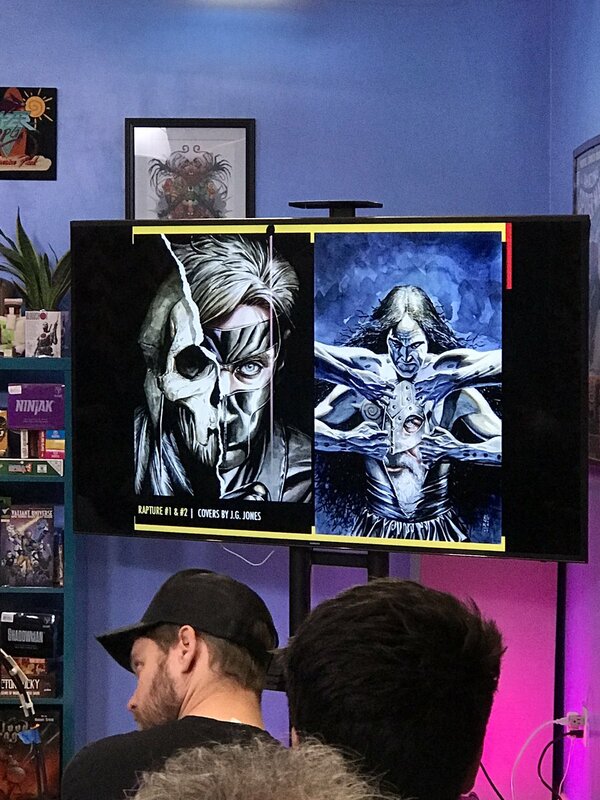 The character is also going to have a major part in the Rapture event that teams up Ninjak with Shadowman see Rapture for more information on that. 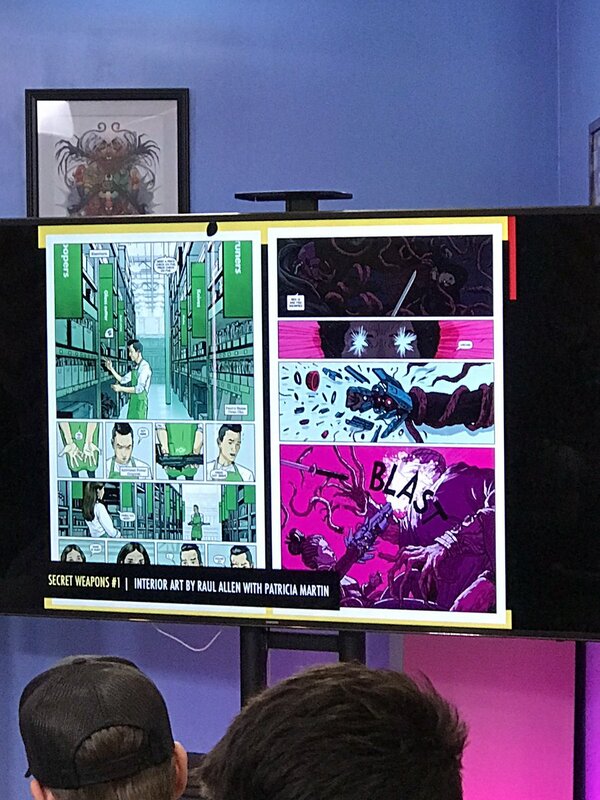 It is not so much Ninjak as it is Ninja K.
The story will explore Ninja M16 history through a murder mystery where old Ninja operatives are being assassinated. Colin King aka Ninjak is obviously a target so he begins to the explore the past operatives to dis-concern who could be behind the spate of murders. Secret Weapons will focus on Livewire finding a new group of Psiots who were discarded by Harada due to their powers being seemingly useless. Livewire will find use for those powers and create a team to take on her former mentor. 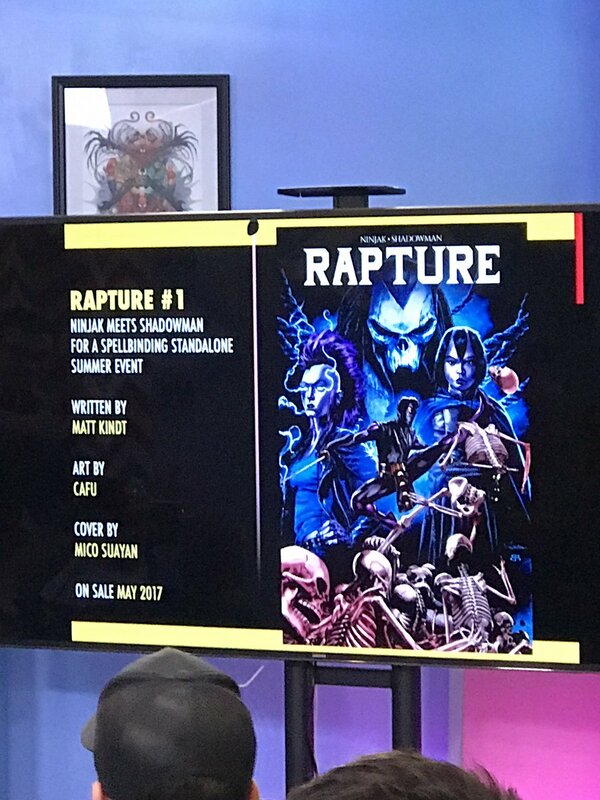 Rapture is a story that will bring Ninjak and Shadowman together to the Deadside to take on a threat. A being known as Babel will be trying to enter the Aliveside and that breach could threaten all of existence. Warned of this threat the Geomancer Tama will reach out to Ninjak to create a group of heroes to take down Babel before its too late for everyone. Update 4-14-2017 - The world's worst super hero team Quantum and Woody make their appearance in Valiant Promo for day 3 out. The pair are in talks of receiving their own film with the Russo brother heading it along with the team that produced Ant-Man. Update 4-13-2017 - 5 days until kick off and Valiant releases another Promo this one featuring Bloodshot and Faith. The company also has cool give aways for a lucky retweeter. Update 4- 9-2017: Valiant update 6 days shows some art for the excelent XO-Manowar. 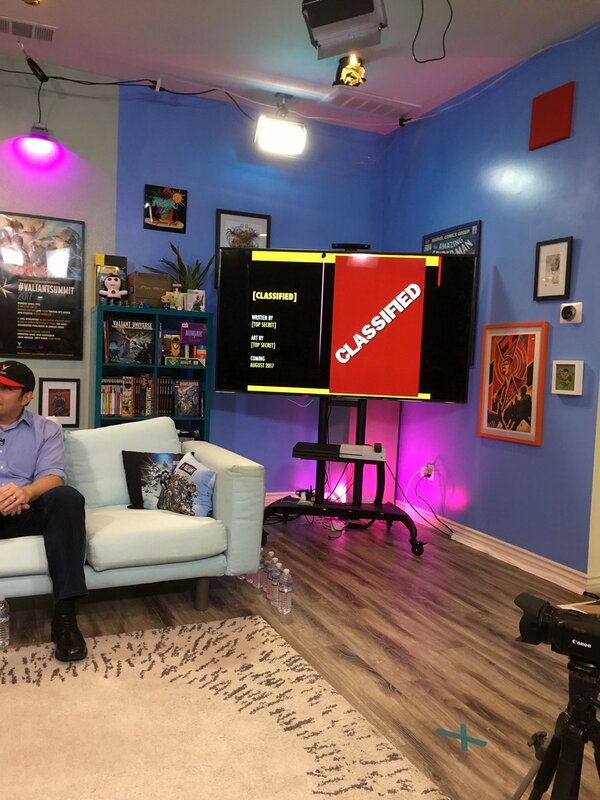 Update 4-10-2017: Valiant has begun teasing the summit with artwork by Lewis Larosa. Presumably each teaser will mention the countdown to days until the summit. The first one highlights a villainous character that is thought to be part of the story "Countdown until Harbinger"
Have you discovered Valiant yet? I have not always been a major Valiant fan but I have to say this year I have begun picking up more and more of their books. Faith is really good, it strikes different chords than just about anything out there. Then I picked up the new X-O Manowar. Manowar was one of those random, Oh that cover looks cool type of purchases. I have to say I liked it too. I expect X-O Manowar to be a big book and its still a great time to jump on, you might be able to find #1 still in some stores. Now I am looking at their line and I am eyeballing Ninjack and thinking I should check that out as well. I've actually debated about initiating deeper coverage of Valiant just based off of Faith and now that I'm into X-O Manowar well it might just happen. Tell me you don't want to read this. Great cover! You can follow the Summit there or stop back by this page. I will update with news from the Summit. 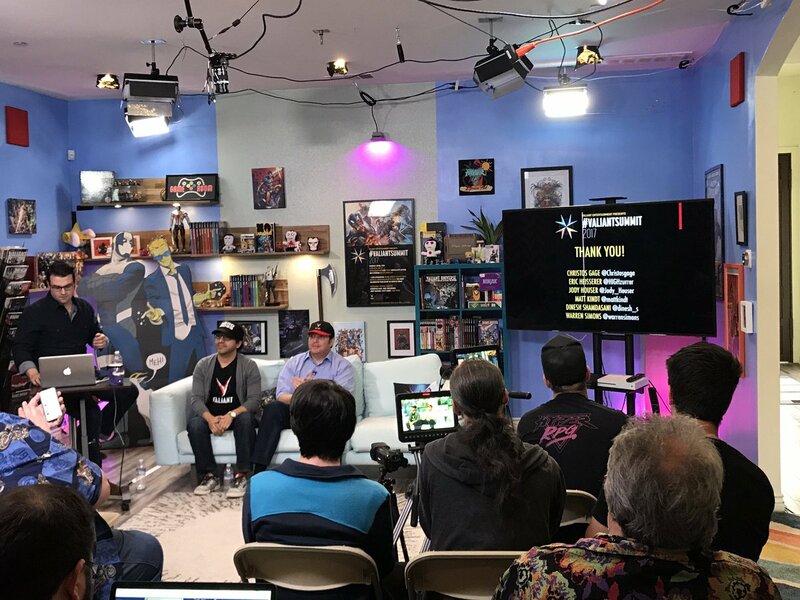 Follow all of #ValiantSummit 2017's news and announcements as they happen with a live stream on Twitch TV’s Hyper RPG channel, Facebook Live or Twitter. 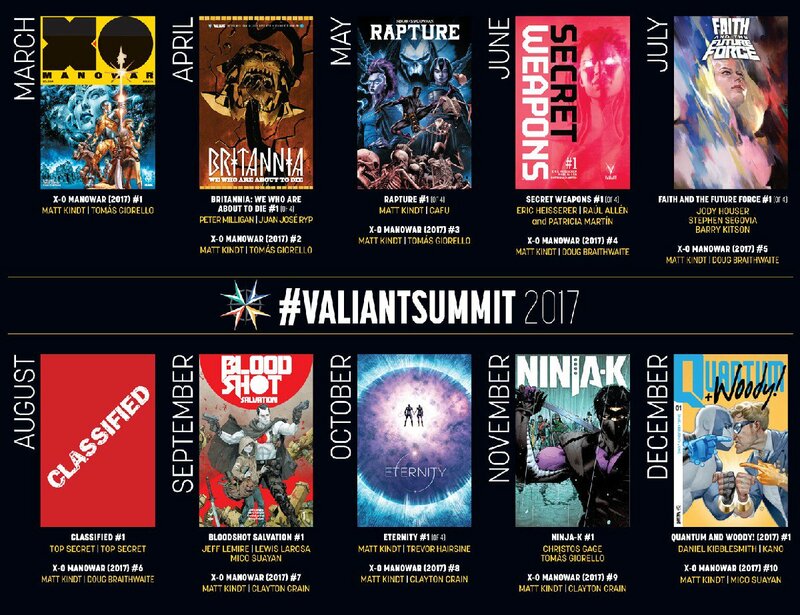 And join the conversation on Twitter at the official @ValiantComics account or follow along with coverage live from #ValiantSummit 2017 from the preeminent press outlets in comics today! Plus: Look for a series of exclusive post-game recaps of all of #ValiantSummit 2017's events with interviews, analysis, extras, and more everywhere throughout the day!